A Samsung press release appears to confirm the existence of the Gear 360 Pro, the rumored successor to the Samsung Gear 360 (~$250 street; reviewed here). 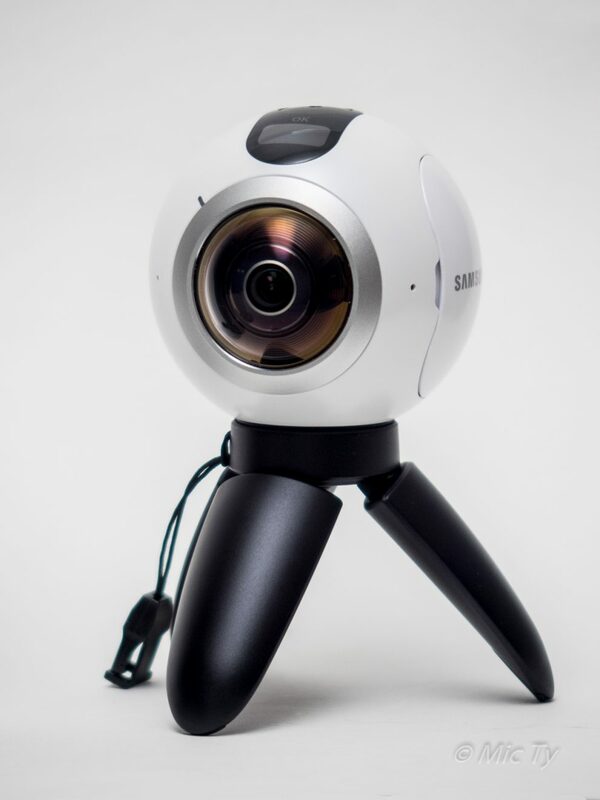 Samsung Gear 360 (reviewed here) is one of the most popular 360 cameras and is currently one of the lowest cost 4k 360 cameras (the other one is the TwoEyesVR, a 3D 360 camera which can currently be preordered for $250). Although the Gear 360 has a good balance of photo quality and video quality, its video quality is not as high as the Kodak SP360 4k Dual Pro, and it lacks the manual controls of the Ricoh Theta (~$300 street; reviewed here) for 360 photos. In September 2016, rumors began to surface about a successor to the Samsung Gear 360 called the Gear 360 Pro. In November, the rumors were corroborated by Indian import records that referenced a camera with a new model number. At that time I estimated that the Gear 360 Pro would be announced at CES or Mobile World Congress. 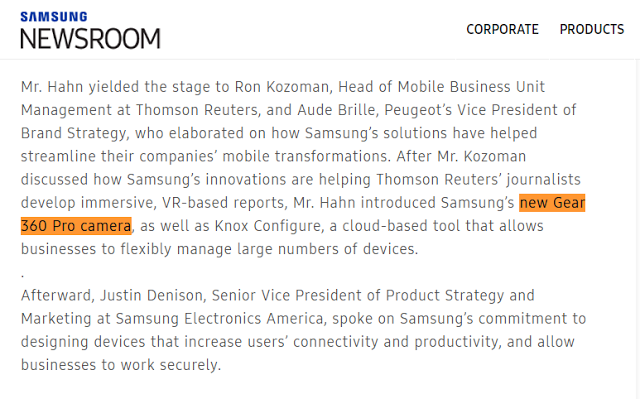 Samsung didn’t actually show the Gear 360 Pro at MWC but the mention in the press release, combined with the recent drastic price reductions for the Gear 360, seems to suggest that the Gear 360 Pro will indeed be released soon, probably at the March 29 unveiling of the Samsung Galaxy S8. Thank you very much to Martin Smith and Mike Cane for bringing this to my attention! Will you still need a Samsung phone to make it work? There were rumors that they would open it to other phones, but that hasn't happened yet, even with the Gear 360.